John and Mary went on a vacation and were invited for a free breakfast. There, a sales rep. approached them asked about their dream vacations and promised he would solve all their vacations "problems". He introduced them a great timeshare solution where they could use their timeshare to pay for the airline tickets, cruises and even pay for their Disney’s entrance ticket. And not only that, the timeshare was so great, that John and Mary could rent it for a profit if in that year they could not go on vacation. One of the main advantages, John remembers, was "we could deduct our purchase from our taxes". When the closer came into the table and show them the price, John and Mary were very surprised to find it was too expensive for them. The sales man told them he would help reducing the price by presenting them some "marketing" options. He brought his manager to the table and offered them a foreclosure for half the price and he was doing this kind of favor just because he liked them so much. The manager also made the comment that just a fool would pass along on a great offer like this one. Finally, after three sales representatives and four hours of negotiation, John & Mary gave in. They signed the contract and the promissory note; they were led to believe that their sales man and manager would help them out renting their weeks in case they couldn’t meet payments. John and Mary could not enjoy entirely the rest of the vacations, their heads were filled with thoughts like “how are we going to make the payment for the new investment in 30 days from now?”, and their vacations were no longer about the sand or the sun. Upon returning home, John & Mary called to cancel, the salesman told them they could not cancel because they bought a foreclosure membership and the cancellation period was over and that clause didn’t apply to their contract. However, the salesman offered to rent their weeks and asked them to return call back a week from that day to check if he could rent the weeks in the contract and to speak further about the remittance of the check to cover the cost of the initial investment. And that was the last time John & Mary hear from the salesman. Now, John & Mary are liable for thousands of dollars in credit card debt with a high interest rate for a “timeshare solution” that in reality gives them only a week for vacations for the next 20 years in addition to what they had already own, weeks that cannot be rented out, and that even though they cannot use, they must pay the yearly maintenance fees. Doing the math, it is cheaper to buy an online package than calling several times to the timeshare resort to book a week, and end up with a week in a unit that was not like the one that was presented, without the service promised and at a season that cannot be adjusted at their vacation schedule. This is a common story. You can read the same testimonial thousands of times over the internet. When people realize that the “timeshare solution” they bought was not what they expected, they look for different ways to get rid of the nightmare they got themselves into. This step is crucial and delicate and can become an emotional rollercoaster because victims of timeshare could easily fall into the hands of even more shameless scam artist that wants to earn some easy money. That is why, we present you different options that you can consider if you have purchased a timeshare and you want to get rid of it. We ask you to read very carefully the following different options you have to get rid of a timeshare; because if you take the wrong direction, you could be throwing more money down the drain. Nowadays it is not an option. This is perhaps, is the most common way of falling into a timeshare scam. If you do a research you will find out that the vast majority of rental companies are there to charges an advertising fee instead of actually providing any kind of service. With the promise to “list” and no “rent” the vacation weeks. A rental company contract is full of sketchy clauses and in the end you just spend money on “solutions” that aren´t a solution to begin with. The resale of a timeshare can be one of the many no-end streets when it comes to talking about timeshares, you can look them up on eBay, there are people selling them at no more than $1 dlls, just to get rid of the expensive maintenance fees. Timeshare resell companies will explain clients how "hot" the market is to convince them to pay an upfront fee to sell it immediately. Asking for upfront fees and promising they have a buyer for you is a sure way the resale company will approach you. This is only an option if you don’t mind throwing more money down the drain and while you are stuck with that timeshare for long time waiting for the "hot" market to do the job. Let’s face it; do you really want to pass along to your love ones a timeshare? Why would anyone want to be committed pay yearly maintenance fees, that result to be higher than just booking online? This is a common practice people do when they do not want to have the obligation of paying for the balance and/or maintenance fees. This practice as it might sound as an alternative, it is really not since the client can rest assure that their credit rating will be affected. Many of our clients call us for assistance when they are already in a situation like this. We can still help them to cancel the timeshare contract and reinstate their credit rating but it takes at least 6 months up to a year to clear up their credit score. Giving back to the resort the timeshare that you don’t want, is not an option. Why? Because the timeshare developer wants the timeshare to be paid off and even when it is, they want an annual maintenance fee to be paid as well. It results to be a lost cause for them and for no reason will they take a timeshare back. Most charities or organizations won’t take timeshare for two reasons, they are not willing to pay the expensive maintenance fees and mostly they do not have a use for it, Donate timeshare scam is not a solution. No more debt (if still owed), paying the mortgage. Freedom to go anywhere, anytime. It is important (however), to cancel your contract properly and through the right people. There are lots of companies that just want to make an easy buck and will even guarantee to recover all monies paid... if you pay them an upfront fee. This is an extension to the original scam. when the scam starts all over again. Never pay upfront to sell, rent, donate or cancel a timeshare contract. Do your homework and investigate the company you will choose to assist you with the cancellation of your timeshare contract as there are many who will tell you (what you would like to hear in order to empathize with you and get your business.) whatever necessary to get more money out of you. MTS is the only company who´s fees are strictly dependent upon results. If there are no results, there is no pay; as simple as that. We will tell you what you need to know straight upfront; it is time for you to hear the true of the timeshare industry. Get a free consultation. 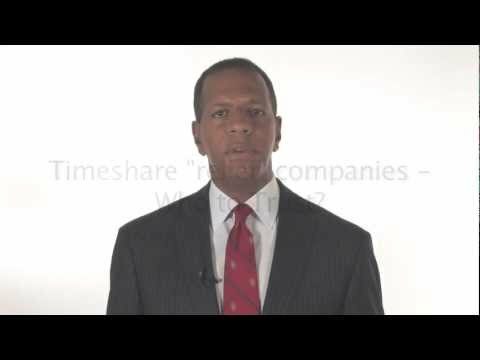 Timeshare Escrow Companies: Scammed by Taylor Trust Company. Compre en 2000 en WestGate Orelando, he pagado todo este tiempo pero ahora me cobran la cuota de mantenimiento que es altisima que no puedo pagar y no quiero seguir endeudandome pidiendo prestado para algo que nunca se va a terminar, podrian explicarme como me pueden ayudar a cancelar. Yo compré un tiempo compartido y quiero información como Cancelar . Necesito vender mi time share. Hola, yo compre en WestGate Orelando el 2018, pero no pude seguir pagando, el septiembre me amenazan de que si no pago seria peor para mi. Ellos me quitaron la unidad de 2 dormitorios y me hicieron otro contrato para 1 dormitorio, o sea un nuevo contrato y de menor costo para mi bolsillo, pero esto fue hace 4 meses y ya me cobraron la cuota de manteniemiento...., no me periten devolver, y solo me dan la opcion de venderlo en mi pais!!! que se puede hacer para cancelarlo. Muchas gracias por responder. Buenas. Compre un tiempo compartido con Vistana Resort de la Florida y estoy interesado en deshacerme de ese inmueble. Por favor contactarme para ayudarme en ello. Hola,yo compré un tiempo compartido en agosto 2017 y la verdad ahora estoy arrepentida no me aseptan la cancelación deje de pagar las mensualidades se q me afectará el crédito trate de hablar con ellos y no hay una manera como hacer se niegan rotundamente a colaborar ahora resulta q ellos no aseptan devolución no se como hacer ya llame varias compañías y lo primero q dice. Q hay q pagar y por adelantado habera alguien q ayude pero sin cobrar por adelantado?? we tried many times this but seems impossible to do, actually we are fighting against mayan palace for the cancellation, we cant afford anymore the high rates of the maintenance fees, its amazing how this mayan palace steal to people with fake contracts, dont get involve in timeshares.